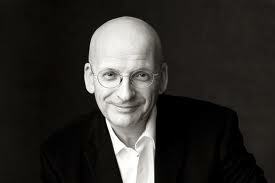 Dublin-based writer Roddy Doyle is having none of this celebrity lark; he keeps himself to himself, his business is his and his alone, and if you’re asking him for the name of his favourite restaurant you’d swear you can hear him chuckling at the absurdity of the question. Doyle seems the type of person (and he’s certainly the kind of writer) who deals in the real world: he’s married to a woman called Belinda, he has two sons (Rory and Jack), he works from home, he supports Chelsea FC, he loves all manner of music, and he writes most days within a disciplined, structured framework. Twice Booker Prize nominated (1991, The Van; 1993, Paddy Clarke Ha Ha Ha, for which he won), Doyle has long since shed the celebrity skin that clung to him so ill fittingly. He lives in a North Dublin suburb, the precise location of which we neither know nor want to find out. That’s the way he likes it. That’s the way he wants it. Modest in demeanour, unassuming in countenance, private in manner, Doyle is as real as it gets in a world seemingly taken over by the notion of what’s cool, what sells, what gives. Now in his 50s, Doyle's back-story is reasonably well known: he attended a Christian Brothers school in Sutton, North County Dublin; after college he started his working career as a teacher of English and Geography in Greendale Community School, Kilbarrack, slap-bang in the city’s Northside; he achieved major recognition (as well as criticism) for his official debut novel, The Commitments, and for his subsequent two novels, The Snapper (1990) and The Van (1991). 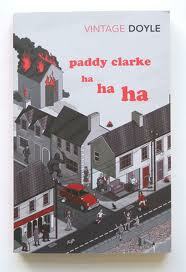 In 1991, Alan Parker’s film of the debut novel made Doyle even more famous, which was even further added to by the success of Paddy Clarke Ha Ha Ha (which remains one of the best-selling Booker Prize-winning novels). Doyle says he wrote The Commitments in 1986, the bulk of it during the Easter school holidays and the remainder of it during the school summer break. After that, he started writing the play that would become known as Brownbread. With a broad smile, he says he felt he had loads of time to write, and it had never occurred to him that, like many other people, he was writing in the hope of escaping his job. But leave teaching he eventually did, jumping from the clamour of the classes and the camaraderie of the Staff Room to what is, effectively, a self-imposed solitariness that is occasionally interrupted by returning school-going children, tuning in to football results on the radio, making a mug of coffee and putting a wash on. Quality is perhaps the key word when it comes to Doyle – albeit quality of life as much as quality control, each of which he has apparently managed to blend without any obvious discomfort. He has little problem scrapping work he’s not satisfied with, he says, the English teacher in him wielding, rapier-like, a red biro with as much élan and accuracy as Zorro. Doyle and the world at large can be thankful he didn’t cut into shreds The Commitments, which is now past the 25th anniversary of its publication (as well as possibly making its stage debut somewhere in the world). Does he have a sense of what has happened to him in the intervening time?